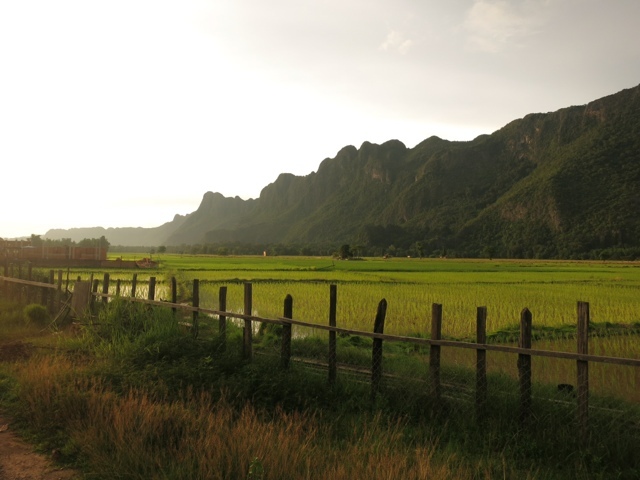 The scenery on the road to and around Kong Lor village is breathtaking. We arrived at 5 p.m., booked a room in one of the many guesthouses, and went for a short walk along the road, in the middle of rice fields. The next day, we walked the short distance to the entrance of the cave. After paying the park entrance fee and the boat fee, we boarded our vessel to explore the cave. Note: the fee is due per boat, 3 adults fit in one. We were with 5, 2 adults and 3 young children. There were not enough life jackets on board, which is of little importance, given that there are no jackets in small sizes anyway. I tied the baby to my chest with a scarf and my husband sat next to the other kids. The visit is great, very impressive and quite unique. It's not an easy one, though. The boats are swift and light. Children should understand that they can't jump, stand or even move too abruptly on the rafts. Inside the cave, the concretions are beautiful but fragile and rocks are slippery. All should wear sturdy sandals. 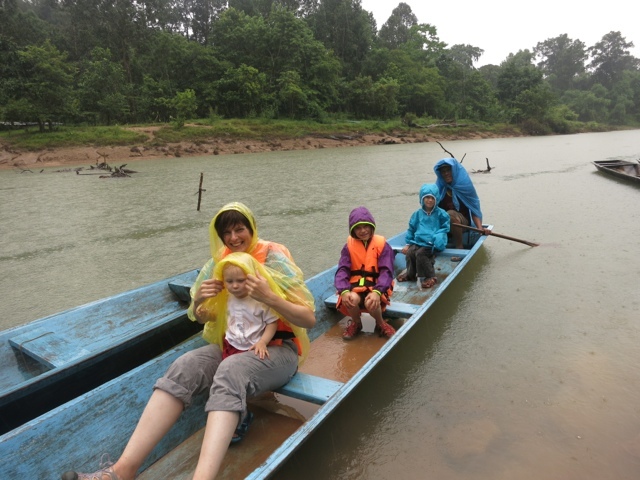 The guesthouse's owner had provided us with headlights, the children loved it! An authentic adventure we will remember!